Summer of Love Giveaway – Day 6! Author Leslie P. Garcia talks That Summer Read, and is sponsoring a $25 Amazon gift card. Plus, don’t forget -we’ll have two Grand Prize winners, each of whom gets a book a week to last from Memorial Day to Labor Day. That’s 16 books for each Grand Prize winner! Bleddyn Hall Now In Paperback! Get your copy today by clicking HERE! After a whirlwind romance during the London Season, Lady Isabel Sutton finds herself quickly engaged to the handsome Lord Tresham Bleddyn, Earl of Dancy. When his father passes away suddenly, however, his period of mourning delays their marriage and ruins the season for Tresham’s younger, twin sisters, Annalise and Rosamund. After the girls invite Isabel to their Yorkshire home, Bleddyn Hall, Tresham seems an entirely different man than the one she fell in love with in London. Not only that, but all is not well within the walls of Bleddyn Hall. The house’s dark secrets lead to murder, mystery, and a gruesome discovery. Was Isabel’s happy future with Tresham nothing more than an illusion? What is more, will she survive her stay at Bleddyn Hall? Great news, everyone! Rhianna will be included in Amazon’s Kindle Monthly Deal in the US marketplace. What does that mean for you? It means you can get your very own copy of Rhianna for only $1.99 for the entire month of October! Just click HERE. Wondering what this 2012 RONE Award Nominee title is all about? Read the “back cover” HERE, the free excerpt HERE, or see what others have had to say in my Reviews section HERE. And don’t miss the follow up, Audra, while she is also available for only $1.99! Happy Re-Release Day to Rhianna! Today’s the big day! Get your ebook copy of Rhianna through Amazon Encore HERE! If you’re old school and prefer print, you can obtain your paperback copy via this LINK. “Upon the unexpected death of her parents, Rhianna Braden finds the enigmatic Lord Guilford Kingsley on her doorstep. 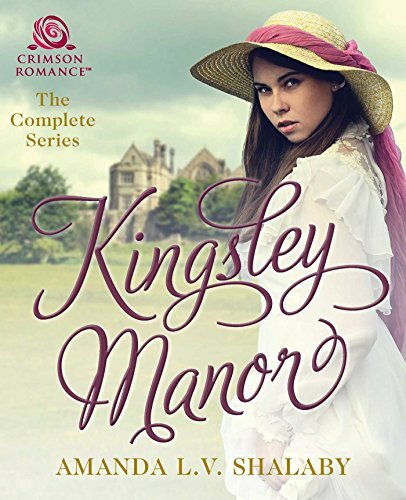 He escorts her to Kingsley Manor, where family secrets and scandals begin to unfold. Her uncommon beauty captures the attention of the dashing Lord Thayne Brighton of Ravensleigh, but Rhianna is certain, despite their mutual attraction, that he would never choose her over his wealthy intended. Meanwhile, Lady Lydia Kingsley suspects her husband’s attention to Rhianna has led to an affair between them. Events turn deadly when the truth of their relationship is discovered. What did cutting the first three chapters of my first book have to do with my first sale? Find out today at Katie Teller’s blog by clicking HERE. Also, you can learn more about my latest gothic Victorian mystery, Bleddyn Hall! I am very pleased to have fellow Soul Mate Publishing and historical author Caroline Warfield with me today. Her debut novel, Dangerous Works, was released this last September and the follow up, Dangerous Secrets, is coming out this winter. Please join me in getting to know Caroline and her stories better HERE! Get Rhianna and 9 other great books wrapped up in this pretty little collection, Timeless Passion! Available on Amazon today for .99! To read the book blurb for Rhianna, click HERE.